The homebuying journey may prove to be difficult, and assorted challenges may arise that make it tough to quickly find and buy your dream house. Whether it&apos;s encountering problems during a home inspection or negotiating a house price with a property seller, there is no telling what may happen during your pursuit of your dream home. However, if you know how to handle homebuying challenges that come your way, you&apos;ll be better equipped than ever before to enjoy a seamless homebuying experience. Now, let&apos;s take a look at three tips to help you tackle various homebuying challenges. When you are faced with a homebuying hurdle, it is important to remember that every problem has a solution. Thus, if you take a calm, cool and collected approach to a homebuying issue, you can find the best way to alleviate this problem. A patient homebuyer usually is a successful homebuyer, and for good reason. If you maintain patience as you navigate the homebuying journey, you can analyze problems that come your way and allocate the necessary time and resources to solve them. And as a result, you may be able to speed up the homebuying journey and acquire your dream residence in no time at all. As you encounter homebuying hurdles, you should consider your options closely. That way, you can weigh the pros and cons of potential homebuying decisions and make informed choices as you try to buy your ideal residence. Sometimes, it may be beneficial to consult with family members and friends too. If you reach out to loved ones for support, they may be able to help you make the best-possible decisions throughout the homebuying journey. When it comes to purchasing a home, you may require expert assistance. Lucky for you, real estate agents are available in cities and towns nationwide, and these housing market professionals can help you overcome property buying issues. A real estate agent is committed to your homebuying success, and as such, will work with you to make your homeownership dream come true. Therefore, if you want to acquire a city residence as quickly as possible, a real estate agent can help you do just that. On the other hand, if you want to purchase a small town home at an affordable price, a real estate agent will help you accomplish your desired result. Let&apos;s not forget about the comprehensive guidance a real estate agent can provide as you search for your dream residence, either. A real estate agent can teach you everything you need to know about the housing market. By doing so, he or she can help you identify and resolve homebuying problems before they escalate. For those who want to streamline the homebuying journey, it helps to prepare. Thanks to the aforementioned tips, you can reduce or eliminate homebuying hurdles and purchase your dream house without delay. 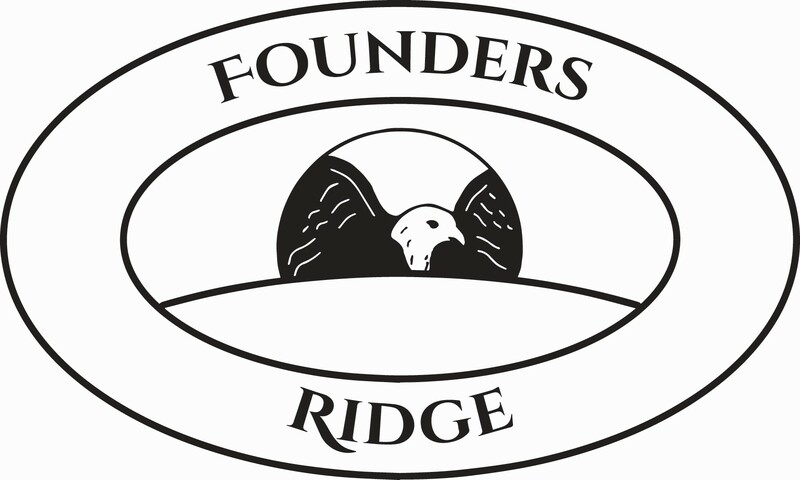 Set on a picturesque hill and centrally located in the desirable Westfield Section of Middletown, Founders’ Ridge is a New 55+ Condominium Community of up to 75 Ranch and Cape Style detached homes. Named for the Founding Fathers and Mothers of Middletown, each model bears the name of one of our town’s founders – The Allen, The Martin, The Cornwell, and The Whitmore to name a few. Attractively priced from $289,900.00, our homes range from approximately 1200 Sq. Ft. to 2250 Sq. Ft. Our models offer 2 – 4 bedrooms, attached 2 car garages, natural gas heat and AC, city water and sewer and all underground utilities. Standard features include wood kitchens with granite tops, stainless steel appliances, tiled laundry and baths, hardwood in living areas, paver patios or decks, paved driveways and professional landscaping. Founders’ Ridge offers a unique agreement with adjacent Ascentria Care’s Luther Ridge, private apartment living for residents age 62+. Residents of our community have access to meeting and game rooms, and even dining opportunities (for a small fee) all of which are accessed via quiet, peaceful walking trials connecting both communities. Centrally located on the Connecticut River, the City of Middletown boasts amenities for any lifestyle. Residents may take advantage of The Institute for Lifelong Learning at Wesleyan University as well as various other university community activities. The active Middlesex Historical Society offers additional programs such as museum exhibits, walking tours, and re-enactments among its many events. Wadsworth Mansion offers a summer concert series and our river and parks offer a wonderful opportunity to explore the outdoors. Also located in the downtown area is Middlesex Hospital, affiliated with the world-renowned Mayo Clinic, Middlesex offers quality medical care and world class technology. We would be remiss if we did not mention our thriving Main Street, famous for award winning cuisine at over 30 restaurant locations, and a Downtown Business District boasting over 40 shops for unique purchases and window shopping and a calendar full of events, performances and more. Don’t forget about the newly opened RJ Julia & Wesleyan Bookstore alive with frequent happenings and book signings by famous authors. Our community truly offers something for everyone!